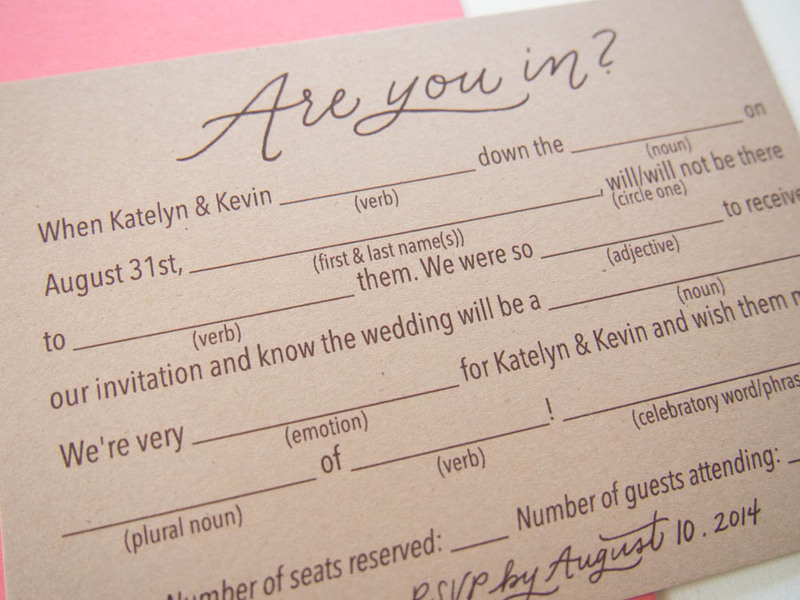 Katelyn and Kevin's invitation was rustic with a little bit of fun. 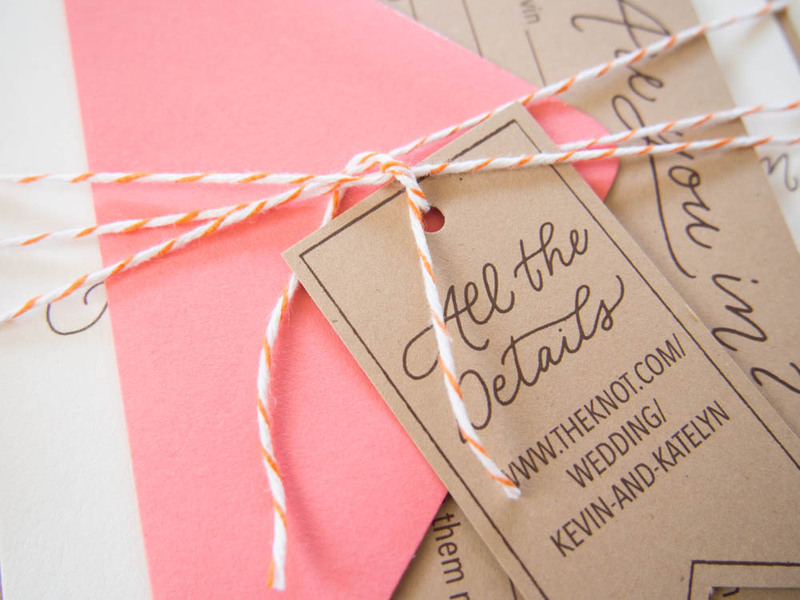 We used kraft paper and a custom illustration of the barn where the wedding took place to give that rustic feel and pops of coral and orange to make it lively and fun! The guests also got to fill our a madlib for their RSVP!